Treasure Island, Florida is located on Florida's beautiful Gulf Coast and is blessed with miles of gorgeous white sand beaches that boast that "Old Florida" feel yet Treasure Island is part of the Tampa Bay region, one of the nation's fastest growing metro areas. Treasure Island offers you and your family a quiet "laid back" atmosphere while being just a short drive from Florida's major theme parks. Miles of clean, wide white sand beaches make Treasure Island the perfect Florida family destination. The warm gentle waters of the Gulf of Mexico and the very best sunsets in the world await you when you visit to Treasure Island. The Beach Trolley continues to service Treasure Island providing residents and guests alike easy access to all the Pinellas County Beaches at very reasonable rates and convenient times. In order to make your visit as safe as possible Treasure Island and the Florida Department of Transportation are installing several new pedestrian crosswalks along Gulf Boulevard. Looking for a place to stay? 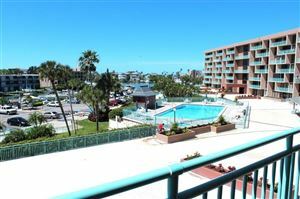 The Resorts and Hotels Page lists the best places to stay on Treasure Island at the best prices. Looking for more room during your Treasure Island vacation? 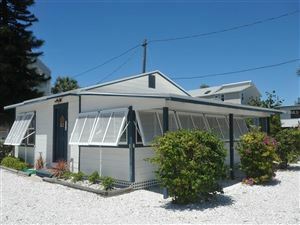 How about a Treasure Island Vacation Rental. Check out our Vacation Rentals Page for the best vacation rental deals on the internet. VRBO has vacation rentals for half the price of a hotel - book the whole house for your next vacation! We have also included the most up to date and complete Treasure Island Food and Drink Guide to help you find where to eat and drink. Stop by the Treasure Island Shopping Page for more shopping information and tips. A Treasure Island Beach Wedding is one of the most popular way to begin your life together. Treasure Island's wide white sand beach is the perfect place to exchange vows. Check out our Treasure Island Beach Wedding Page for a list of area Beach Wedding Planners. Treasure Island is the perfect place for Deep Sea Fishing Trip, Florida Golf Vacation and more. Be sure to check out the Treasure Island Things To Do Page for a complete list of and links to Treasure Island activities. Don't bother to dig up that old atlas if you want a map of Treasure Island, We have included a Google Interactive Map on our Treasure Island Map and Weather Page. Just check out our Treasure Island Weather Page for the current Treasure Island weather conditions, 5 day weather forecast and the current weather radar. Find out more about what is going on in and around Treasure Island on the Treasure Island Events and News Page. Treasure Island is bordered on the north by Madeira Beach and to the south by St. Pete Beach. For more information on these two beach communities visit the Madeira Beach Vacation Guide and the St. Pete Beach Vacation Guide.